Look back at the past every time you see this vintage style "Keep 'Em Flying" sign. 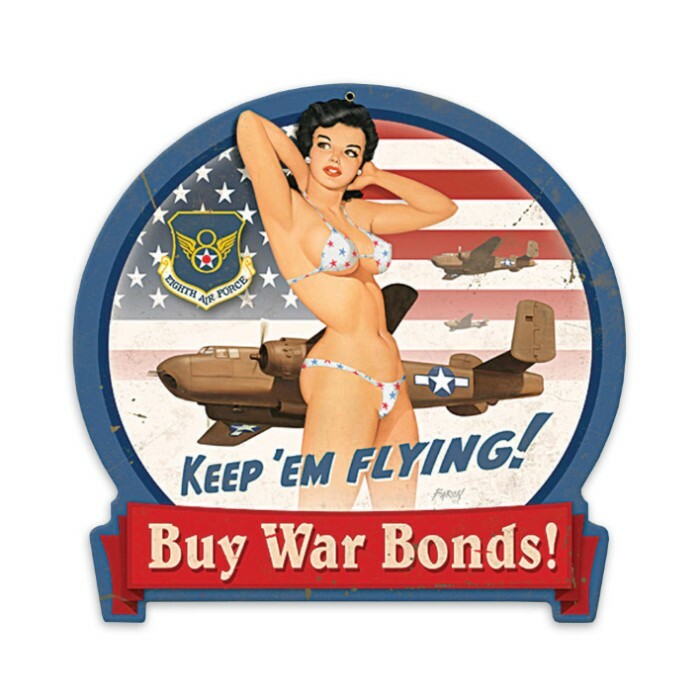 Displaying an Air Force insignia, cannon-nosed B-25 bombers and a patri-rotic pin-up girl, this 24 gauge metal sign is hand distressed to create the look and feel of aged metal and paint and includes mounting holes. Measures 15 in. x 16 in.